Introduce your body to fibre and prebiotics: the secret to a lifetime of digestive joy. Feeling good should taste good too! 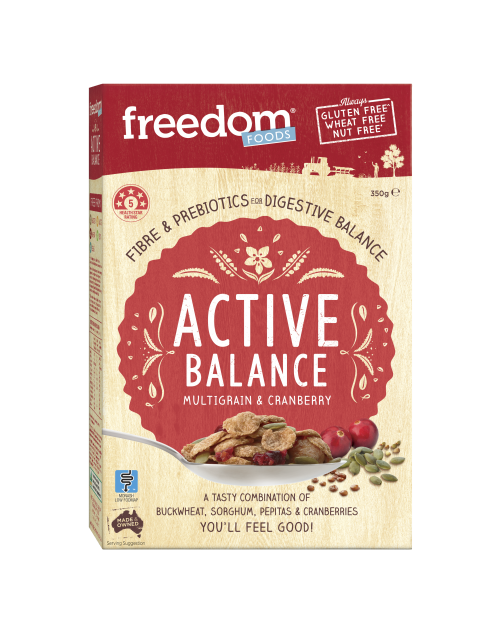 This tasty combination of crunchy buckwheat & sorghum flakes, whole pepitas and cranberries will leave you feeling like a million bucks. 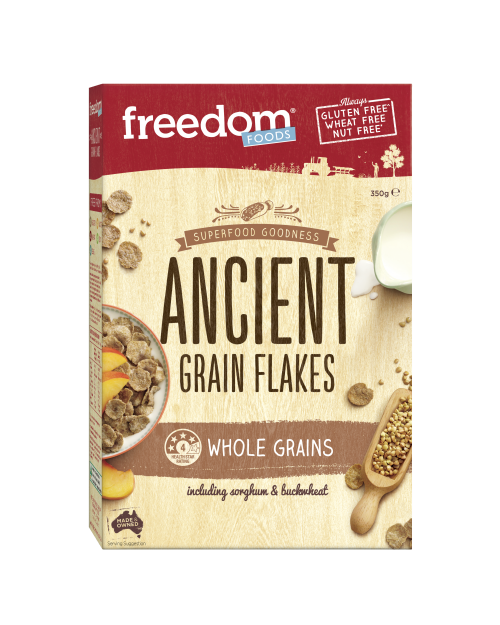 A superfood mix of ancient grains; sorghum, quinoa and millet. 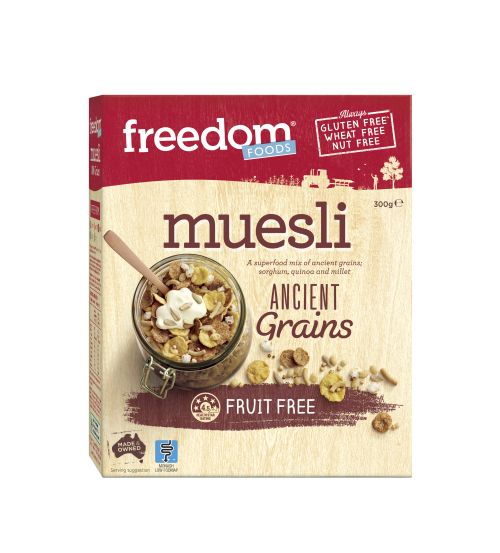 Start your day with a bowl full of superfoods – antioxidant-rich buckwheat and sorghum – and the food karma gods will surely smile upon you. 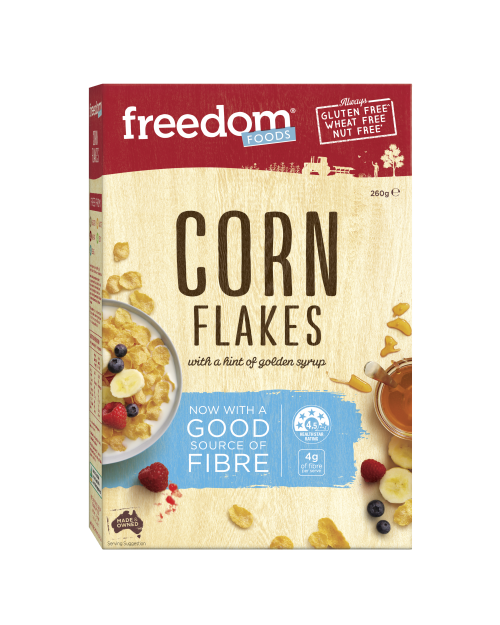 How do you improve a classic like the corn flake? 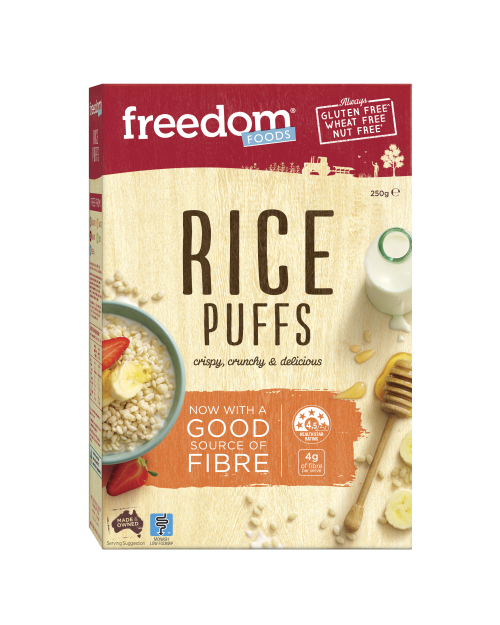 With a recipe that has a good source of fibre, low fat, and is free from wheat & gluten. 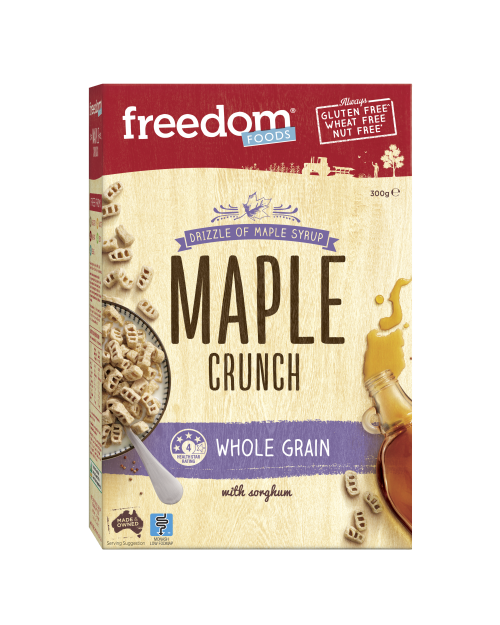 Tastes like a pancake breakfast, only crunchier. 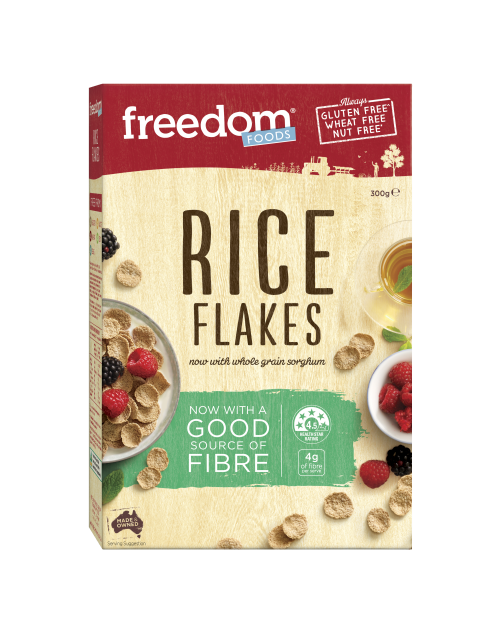 Trick your tastebuds every morning with this deliciously rich maple cereal free of gluten, wheat and nuts. 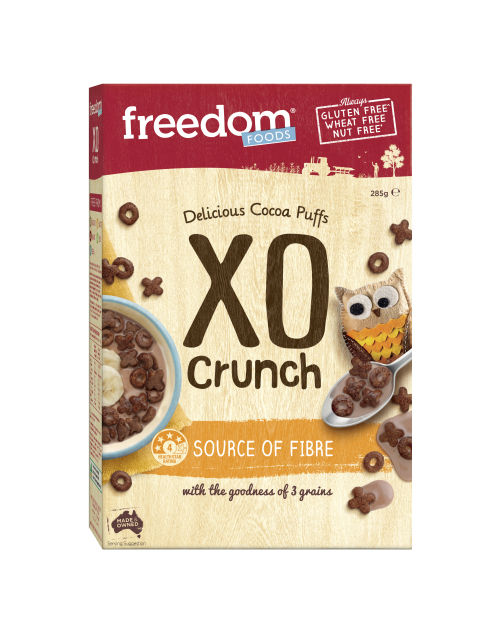 Delicious cocoa XO shapes your kids will love.